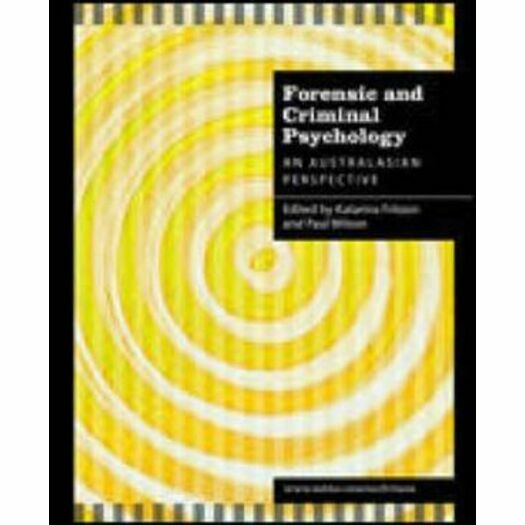 This important original work recognises the close relationship between criminology and forensic psychology. It offers evidence-based psychological research, relevant to the current legal justice systems operating in Australia and New Zealand. The chapters are written by a range of experienced specialists, and reflect major areas that forensic psychologists work in and give a real sense of the underpinning knowledge base from which the profession works. Readers will obtain an understanding of the diverse, complex and challenging tasks that forensic psychologists face on a day-to-day basis and the implications the field has for psychology as a whole as well as related disciplines. Methodological issues are covered in a way that is relevant to forensic settings, and a focus is given to implementation and treatment programs. This book attempts to balance the work of academic forensic psychologists primarily interested in teaching and research with the understanding of practioners who spend time in prisons, courts, tribunals, psychiatric hospitals and facilities and other relevant institutions and organisations. Forensic Psychology and Criminology is an essential resource for students undertaking tertiary studies in the area, as well as academic forensic psychologists and practioners in the field.